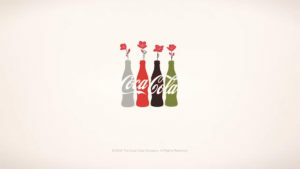 Coca-Cola’s Super Bowl spot is a beautifully animated ode to an Andy Warhol quote on unity. ‘A Coke is a Coke’ was created by Wieden+Kennedy Portland and directed by Psyop’s Kylie Matulick, Trevor Conrad and Todd Mueller. ‘A Coke is a Coke’ is a playful ad with original animated characters like ‘Beans the Chef’, ‘Freddy the Yeti’ and ‘Abigail the Bird Girl’ who remind viewers that Coke is for everyone and that it is beautiful to celebrate our differences. 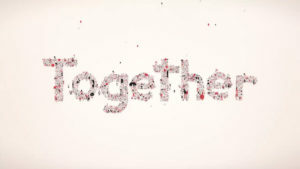 The ad is the latest chapter in The Coca-Cola Company’s nearly 133-year history of standing for togetherness. It builds on similar messages from Big Game creative aired over the last five years – ‘It’s Beautiful’ and ‘The Wonder of Us’ – and iconic ads from the 1960s and 1970s like ‘Boys on a Bench’ and ‘Hilltop’. Given that Sunday’s Big Game will be played just blocks from where the very first Coca-Cola was served more than 130 years ago, The Coca-Cola Foundation is also paying tribute to its hometown with a $1 million donation to Atlanta’s National Center for Civil and Human Rights to allow free admission for more than 50,000 guests between now and the end of February. This grant will allow tens of thousands of people visiting Atlanta for the Big Game and beyond to connect the history of the American Civil Rights Movement with human rights and inclusion issues across the globe.